Working at eCivis, occasionally Vanna would call out to no one in particular, “Hey, the [random produce item] festival is going on in [random backwoods suburb of Los Angeles] this weekend!” I’m not sure Vanna would ever show up to these events, but Luisa and I had nothing better to do, and we’d pile in the car and drive out to Oxnard for the Strawberry Festival or Pasadena for the Cherry Blossom Festival or Little Tokyo for the Tofu Festival or wherever. 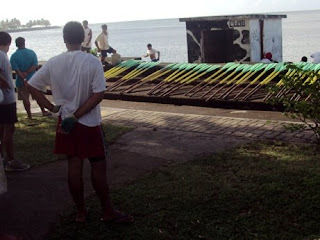 Those were fun days, and so I’m excited about the upcoming Teuila Festival here in Samoa. I’m pretty sure I heard about the Teuila Festival before I left The States. 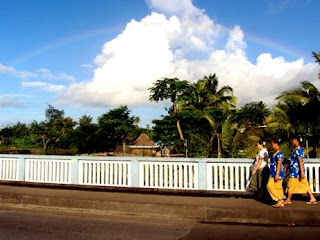 It seems to be a large source of pride for Samoa, and it tends to show up on any calendar, whether that be the Peace Corps’ calendar of national holidays or my school’s academic calendar. The Teuila Festival is a main event. 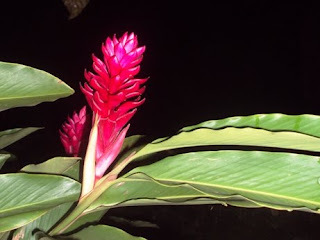 For those who aren’t familiar, the teuila is a flowering plant here in Samoa often used in making ulas and flower arrangements. It’s flowers seem similar to that of a cactus or thistle, and it flowers year-round, but its festival is always celebrated during the first week of September. I am excited about the Teuila Festival, although I’m confused about what exactly the event entails. It is not like Gilroy, California’s Garlic Festival at which people find increasingly inane garlic-flavored foods (garlic jelly, garlic cookies, garlic ice cream, etc.). It is not a bunch of rows of arts and crafts booths or a place to find kettle corn. Instead, it seems like a series of cultural events highlighting the best of Samoa. 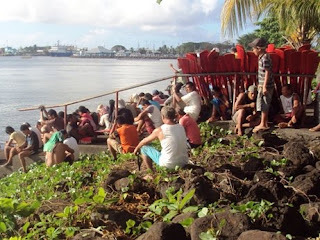 There is a dance competition and some other physical contests, but the two hot tickets are the boat races and the Miss Samoa Pageant. The Miss Samoa Pageant would appear to be like any other beauty pageant except Samoa’s such a small place it’s more likely that more people know her. The boat races are the most visible part of the upcoming festival. These are not sailboats or yachts; teams race in an extremely long canoe-like boat called a fautasi, which has up to 21 pairs of oars—and thus up to 42 team members—propelling the boat through the ocean. Teams have been practicing in the harbour for the last 3 months, and as the festival draws nearer, practices have become more intense. The most frustrating part of the festival is it’s not clear where I can find a schedule of events. Since it coincides with my sister’s visit in early September, it would be nice to figure out when we should be in Apia, and when we can skip town and go to the beach. One teacher suggested I try and get tickets for the Miss Samoa pageant, but when I asked her where they sell tickets, she shrugged. “Maybe at the Tourism Authority?” She hypothesized. In any case, the event sounds like a lot of fun. I just need to figure out what time it starts and where I need to be. Team getting ready for practice. Red paddles ready to go. The competitors getting ready. Green paddles ready to go. Walking around with my camera, these guys demanded I take their picture. If you look closely, you can see a rainbow arcing over these ladies. I really like this picture. two weeks!! i love the last picture! Matt you should totally take your sister to the Miss Samoa and the long boat race. They're the coolest events of the whole festival. The long boats were once the only mode of long distance transport for whole villages before buses. Anyways watch District9, its the coolest movie of the year.